Videocon d2h Khushiyon Ka Weekend Offer (“Offer”) is a promotional scheme which is being offered by Dish TV India Limited, wherein a Videocon d2h Subscriber (“You” / “Your”), having a Videocon d2h Set Top Box (“STB”) and an Active Account Status can subscribe to Infostyle Add-o[email protected] just Rs.1/- (“Offer Price”). The Eligible subscriber will be able to watch Infostyle Add-on for 30 days at the Offer Price and the Offer effective from the date of subscription to the Offer (‘Subscription Period’). The Offer is, in addition, to any existing promotional scheme available from Videocon d2h and this Offer can be availed only on the said Offer Days. You must subscribe to ‘Infostyle Add-on’ on the Offer Days between 00:00 hours on 15th June 2018 to 23:59:59 hours on 17th June 2018. Infostyle Add-on is a monthly subscription add-on. As such the Infostyle Add-on is available on for a monthly price of Rs.40+/- (plus 18% GST Extra), however only during the Offer Days subscriber can subscribe the Infostyle Add-on at the Offer Price. 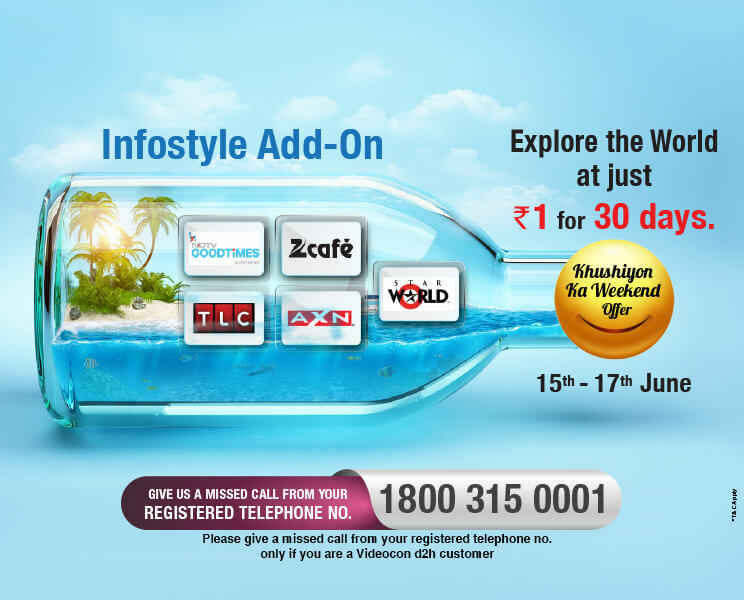 To avail the offer price of Rs.1/-, the subscriber must subscribe to Infostyle Add-on at any point of time during the mentioned offer period between 15th June to 17th June 2018. The subscriber’s account should be in active state to subscribe to ‘Infostyle Add-on’. The subscriber should have sufficient account balance to subscribe to ‘Infostyle Add-on’. Once subscribed @ Rs.1/-, ’Infostyle Add-on’ shall be available for 30 days & cannot be de-activated before that. If the subscriber wants to discontinue the service post the Subscription Period, the subscriber needs to call the Subscriber care one day prior to offer completion date (i.e. in this case he needs to call on the 29th day) to get it deactivated, else it will continue on the regular price of Rs.40+/- (plus 18% GST Extra) or such price prevailing at that stage from the next month onwards, until requested for disconnection. 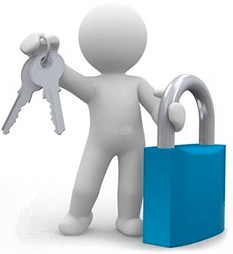 Existing subscribers on Infostyle Add-on cannot Remove/Downgrade the add-on & then opt for the Offer during the Offer Period. Insider was posting without complete details may be.. check last week’s post for more details..
Ha ha… i completely stopped checking it..
Rcom, bigtv already looted khushiya of thousands or lakhs of people in india who knows when Videocon files bankruptcy and we get next nirav modi or malya. Whenever I posted, I post complete details but if videocon site take time to details then what should I do ? I knew it what videocon d2h has this weekend for 1 rs. But I did not post this time because of @admin, @bumblefoot partiality !! Just because of them I lost 2 FPD !!! If someone already posted offer link then what is the use of giving offer link ? Now I won’t post any deal.